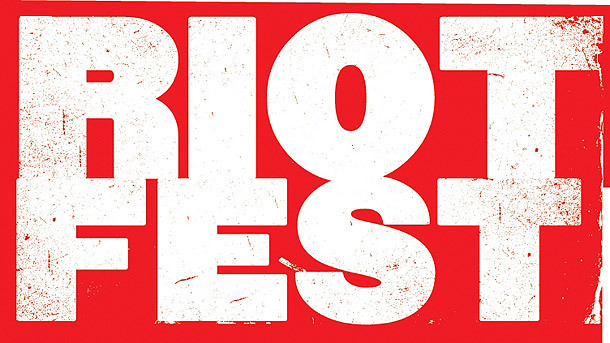 As the promoters of the end-of-summer punk-rock blow-out Riot Fest gear up to begin announcing the lineup for their eighth annual shindig, they also are hoping to expand yet again by taking the festival outdoors to Humboldt Park on Sept. 15-16. “This is a big development for the park, since it hasn’t hosted any music festivals of this scale in recent memory,” the Humboldt Park Advisory Council notes on its community blog. Festival organizers are set to present their plans for moving the music into the park, which is bordered by North, Division, Kedzie and California, at the council’s meeting on Thursday, but they seem to have a receptive audience. From its underground origins strictly celebrating Chicago punk—Naked Raygun a particular god—in some of the city’s grungier venues—headquartered in the controversial Congress Theater—Riot Fest has expanded to embrace a much broader aesthetic—Weezer was a 2011 headliner—and some very un-punk corporate concessions (it asked us last year to officially rename it the Red Bull Riot Fest). It also has branched out to other cities, including Philadelphia. All of this, alas, means that Riot Fest has become a lot more like every other festival in a city now lousy with them. But, hey, nothing says musical rebellion better than swarms of black leather jackets and Misfits T-shirts on the baseball field near an ice cream truck during a warm, sunny day—right?